The wind was up all week, the tail end of a hurricane blown across the Atlantic. 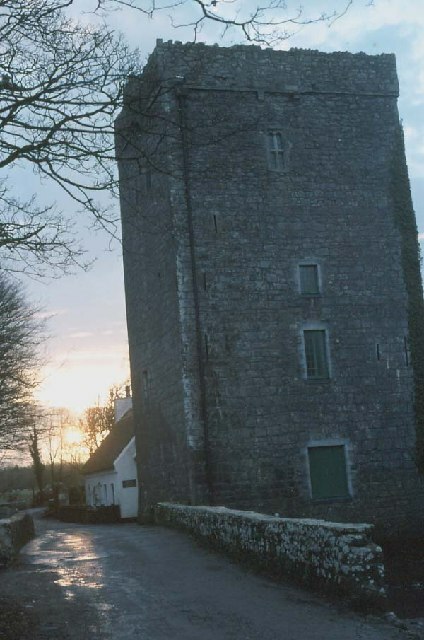 We had blown in ourselves on a whim to drive part of the Wild Atlantic Highway, seduced by the romance of the name and stopped at Yeats’ Tower and then Coole Park, an unexpected find as we made our way back through Galway to the airport. It was closed of course, the little cottage and the tower restored by Yeats himself for his wife. 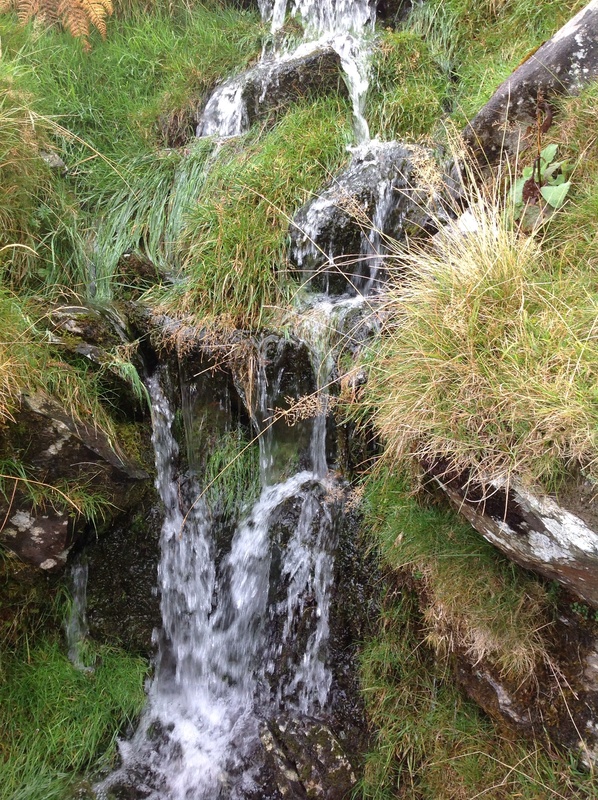 Was it this river he wandered and worried for Ireland and his daughter? A gardener , ruddy faced, rake in hand looked up, surprised, as we passed, not saying anything. The path was thick with wet sycamore leaves themselves covered with large black blight. He waved the rake at them as if by scaring them they would take themselves off. Perhaps it was us he wished to frighten off after all for disturbing the peace of his dank afternoon. 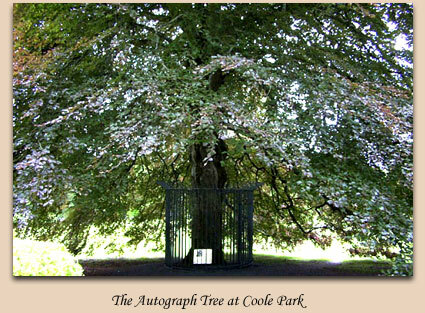 On to Coole Park and time enough before the plane for the walled garden at least. Bronze leaves settled on the few cars in the car park. A man changed his shoes for some serious walking. ‘How’s it going?’ He asked us. The house itself has gone but the walled garden remains, a peaceful place between grey walls and the age and beauty of trees. I wondered if it was symmetry and the elegance of straight lines that gave the place its atmosphere but decided that indeed the garden had its own aura. Possible to imagine Yeats nursed back to health here and inspired by beauty and grace of a patron. 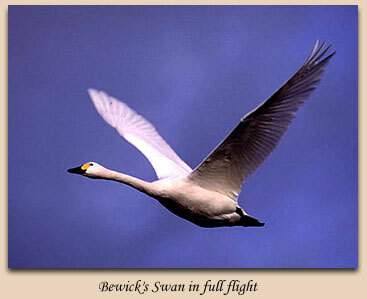 Possible to imagine the bygone era and the literary greats flown like swans. Imagine walking in those footsteps, carving initials in Lady Gregory’s autograph tree, never going out in the lanes, like Synge, but spending all the time in the woods or within the walls of the garden, protected from all sides bordered, secluded writing and thinking. I would be as the leaf collector – happy to wander, rake in hand, not doing much but soaking it all up. It was high time for a walk if only to take a break from the manuscript. 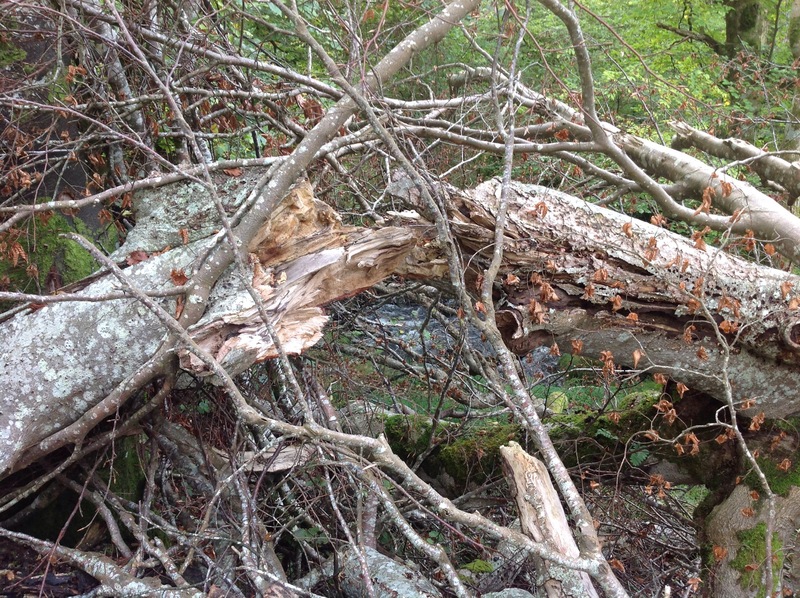 The usual linear walk over the top to the nearest town often reveals something new, no matter how often we walk it, trees ravaged by high winds, mountain springs swollen to torrents. 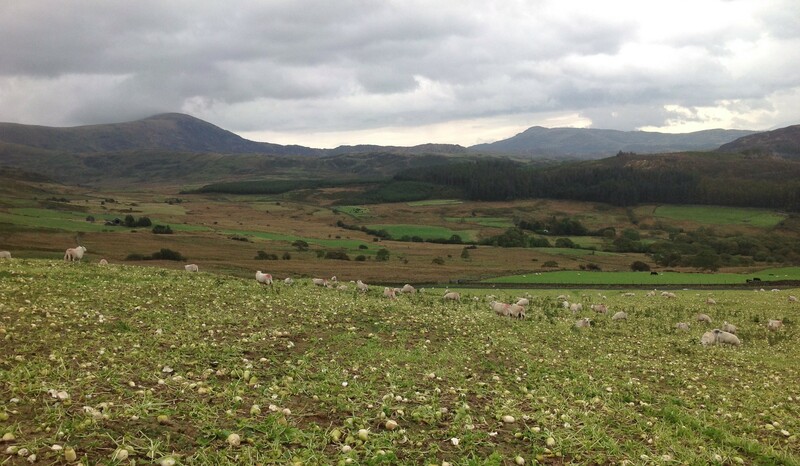 We stopped to gaze on a high hill pass, Bwlch y Rhiwgyr, (Drovers’ Pass), anticipating the view which on a clear day takes in the Mawddach Estuary and the Lleyn Peninsular and were seduced by the sight of a flock of sheep safely grazing a field of winter fodder – turnips I guess, but mangel-wurzel sounds better. The sheep were too busy to notice us as we ploughed on through. A crossway of paths leading to and from a pre-historic trio of standing stones known as Arthur’s Quoits had been carefully delineated by the sower of the turnips and stood out green and clear, tapering to a distant point. What also become clear was a way forward with the novel, a story and set of characters that have hung about me for long years now, refusing either to go away or become clear. A character I have named Hennessy, whose face, as broad as a potato and round as a turnip drifted across the sky in cloud formation was the key. 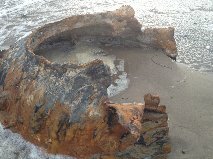 Not the title of a new novel, (although, wait minute) but a relic of WW2 washed up in heavy seas. I thought it would be hard to spot on our vast eight mile expanse of sand, perhaps hidden in the dunes or already claimed back after another day of storms. Even at a distance it was obvious; out of place, its irregular metal outline at odds with the briny foam and scattered shells and pebbles. There are other reminders of the second world war, graves for bodies washed up, planes crashed into hillsides, enough to make anyone wonder. Staring at this round bomb, imagining the force of the blast that had blown a hole a meter wide was quite thrilling and that in itself is chilling. Published by Cinnamon Press. 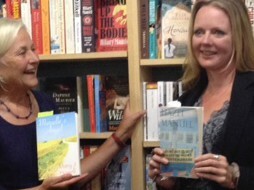 Hazel Manuel and Mary Howell with their novels in Palas Print independent bookshop. 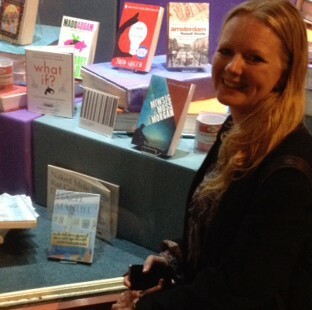 Cinnamon Press, small, independent and based in North Wales is a champion and prolific publisher for new writers. Being published does not of itself bring status, more the pleasure of reading aloud to an audience and the quiet knowledge that someone has confidence in your work. 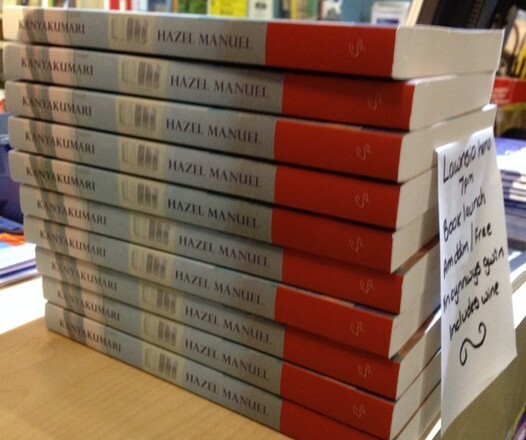 Hazel Manuel outside the book shop in Bangor after the launch of Kanyakumari. Went to see Michael Morpurgo talk about his latest book, Listen to the Moon, and glad we did, a master story teller in the flesh as well as printed word. When he took questions from the packed audience consisting mostly or children, there were a couple of telling moments. Not only was he wonderful with them, humorous, playful, stern – in fact very like a grandfather or even as one imagines Father Christmas – if one imagines such a person – he was very wise. War is the subject of several of his books – the first world war in particular – and he prepared the children for the serious and sad facts of the sinking of the Lusitania and apologised for the awfulness. The world needs pacifists. Little is ever said about the sheer misery of war for those who are not fighting. I dare say it is pretty miserable for those who are but their deaths are often couched in glory, counted as the greatest sacrifice – laying down a life for a country. No one is encouraged to think of the struggle of surviving through and after war for all sides because it is too grim. It is an emotive subject that he treats well for children and adults. On a lighter note one child asked which of his books he would recommend. Having ascertained an age group he recommended a couple. At the mention of each title a Chinese whisper spread through the audience. ‘I’ve read that.’ I don’t know if Mr Morpurgo could hear that hallowed whisper, but I think he’d have been jolly pleased if he did. The book is a good read. Like an expert Mr Morpugo guides readers through the highs and lows of the story, preparing them for a life time and a lifetime of reading. There is much to recommend the tradition of story telling – and Mr Morpurgo is traditional – especially for children. Rather like pantomime, knowing when to hiss and when to shout ‘it’s behind you,’ knowing what to expect adds to the enjoyment, especially when expectation is then thwarted and instead a surprise awaits. The event was orgainsed by an independent book shop, Simply Books, at Stockport’s lovely art deco Plaza Cinema, restored to former glory. It was a dismally dingy bingo hall for most of the thirty or so years we lived in Stockport. Restored, it has changed the whole aspect of that part of town and now screens classic films and stages live shows.